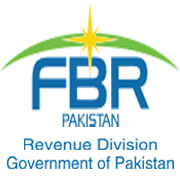 KARACHI: Federal Board of Revenue (FBR) on Friday announced major reshuffle in Pakistan Customs Service (PCS) and transferred and posted 41 officers of BS17 and BS-18 with immediate effect and until further order. 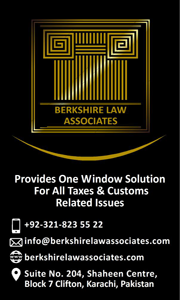 Ms. Tayyaba Bukhari (Pakistan Customs Service/BS-18) has been transferred and posted as Deputy Collector, Model Customs Collectorate of Appraisement, Lahore from the post of Deputy Director, Directorate of Input Output Coefficient Organization (North), Lahore. Khaldun Ul Haq (Pakistan Customs Service/BS-18) has been transferred and posted as Deputy Collector, Model Customs Collectorate, Gilgit-Baltistan from the post of Deputy Director, Directorate General of Intelligence & Investigation, FBR, Islamabad. Mohammad Rehan Akram (Pakistan Customs Service/BS-18) has been transferred and posted as Deputy Collector, Model Customs Collectorate of Appraisement, Lahore from the post of Deputy Director, Directorate of Reforms and Automation (Customs), Karachi. Muhammad Azam (Pakistan Customs Service/BS-18) has been transferred and posted as Deputy Director, Directorate General of Transit Trade, Karachi from the post of Deputy Director, Directorate of Intelligence & Investigation-FBR, Quetta. Ms. Nazia Saleem (Pakistan Customs Service/BS-18) has been transferred and posted as Deputy Collector, Model Customs Collectorate, Islamabad from the post of Deputy Collector, Model Customs Collectorate of Appraisement, Lahore. Wahaj Saghir (Pakistan Customs Service/BS-18) has been transferred and posted as Deputy Collector, Model Customs Collectorate, Gilgit-Baltistan from the post of Deputy Director, Directorate General of Transit Trade, Karachi. Abdul Qudoos (Pakistan Customs Service/BS-18) has been transferred and posted as Deputy Collector, Model Customs Collectorate of Preventive, Quetta from the post of Deputy Director, Directorate General of Customs Valuation, Karachi. Tariq Mashkoor (Pakistan Customs Service/BS-18) has been transferred and posted as Deputy Collector, Model Customs Collectorate of Exports (Port Muhammad Bin Qasim), Karachi from the post of Deputy Director, Directorate of Input Output Coefficient Organization (South), Karachi. Nawabzada Kamran Khan Jogezai (Pakistan Customs Service/BS-17) has been transferred and posted as Deputy Director, (OPS) Directorate General of Post Clearance Audit, Islamabad from the post of Deputy Director, (OPS) Directorate General of Internal Audit (Customs), Islamabad. Ms. Maryam Khalid (Pakistan Customs Service/BS-17) has been transferred and posted as Assistant Collector, Model Customs Collectorate, Islamabad from the post of Deputy Director, (OPS) Strategic Control Division, Ministry of Foreign Affairs, Islamabad. 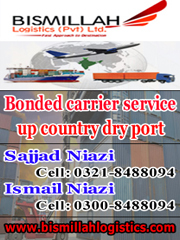 Ghulam Muhammad (Pakistan Customs Service/BS-17) has been transferred and posted as Deputy Director, (OPS) Directorate General of Customs Valuation, Karachi from the post of Deputy Collector, (OPS) Model Customs Collectorate of Exports (Port Muhammad Bin Qasim), Karachi. 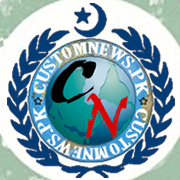 Malik Muhammad Ahmed (Pakistan Customs Service/BS-17) has been transferred and posted as Assistant Collector, Model Customs Collectorate, Gwadar from the post of Assistant Collector, Model Customs Collectorate of Port Muhammad Bin Qasim, Karachi. Muhammad Ibrahim (Pakistan Customs Service/BS-18) has been transferred and posted as Deputy Collector, Model Customs Collectorate of Appraisement, Quetta from the post of Deputy Collector, Model Customs Collectorate, Quetta. Asim Rehman (Pakistan Customs Service/BS-18) has been transferred and posted as Deputy Collector, Model Customs Collectorate of Preventive, Quetta from the post of Deputy Collector, Model Customs Collectorate, Quetta. Muhammad Faisal (Pakistan Customs Service/BS-18) has been transferred and posted as Deputy Collector, MCC of JIAP, Karachi from the post of Deputy Collector, Model Customs Collectorate of Preventive, Karachi. Junaid Mahmood (Pakistan Customs Service/BS-18) has been transferred and posted as Deputy Collector, Model Customs Collectorate of Appraisement, Quetta from the post of Deputy Collector, Model Customs Collectorate, Quetta. Dr. Tahir Iqbal Khattak (Pakistan Customs Service/BS-18) has been transferred and posted as Deputy Collector, Model Customs Collectorate of Appraisement, Peshawar from the post of Deputy Collector, Model Customs Collectorate, Peshawar. Imran Afzal (Pakistan Customs Service/BS-18) has been transferred and posted as Deputy Collector, MCC of JIAP, Karachi from the post of Deputy Collector, Model Customs Collectorate of Preventive, Karachi. Maqbool Ahmad (Pakistan Customs Service/BS-17) has been transferred and posted as Deputy Collector, (OPS) Model Customs Collectorate of Appraisement, Quetta from the post of Deputy Collector, (OPS) Model Customs Collectorate, Quetta. Najeeb Arjumand (Pakistan Customs Service/BS-17) has been transferred and posted as Deputy Collector, (OPS) Model Customs Collectorate of Preventive, Peshawar from the post of Deputy Collector, (OPS) Model Customs Collectorate, Peshawar. Waseem Feroz (Pakistan Customs Service/BS-17) has been transferred and posted as Assistant Collector, MCC of JIAP, Karachi from the post of Assistant Collector, Model Customs Collectorate of Preventive, Karachi. Shah Faisal (Pakistan Customs Service/BS-17) has been transferred and posted as Assistant Collector, Model Customs Collectorate of Preventive, Quetta from the post of Assistant Collector, Model Customs Collectorate, Quetta. Syeda Sadaf Ali Shah (Pakistan Customs Service/BS-17) has been transferred and posted as Assistant Collector, Model Customs Collectorate of Appraisement, Peshawar from the post of Assistant Collector, Model Customs Collectorate, Peshawar. Asma Javed Paracha (Pakistan Customs Service/BS-17) has been transferred and posted as Assistant Collector (Prob), Model Customs Collectorate of Appraisement, Peshawar from the post of Assistant Collector (Prob), Model Customs Collectorate, Peshawar. Akmal Shahzad (Pakistan Customs Service/BS-17) has been transferred and posted as Assistant Collector, Model Customs Collectorate of Appraisement, Quetta from the post of Assistant Collector, Model Customs Collectorate, Quetta. Sajid Khan (Pakistan Customs Service/BS-17) has been transferred and posted as Assistant Collector (Prob), Model Customs Collectorate of Preventive, Peshawar from the post of Assistant Collector (Prob), Model Customs Collectorate, Peshawar. Rana Umair Arshad (Pakistan Customs Service/BS-17) has been transferred and posted as Assistant Collector (Prob), Model Customs Collectorate of Preventive, Quetta from the post of Assistant Collector (Prob), Model Customs Collectorate, Quetta. Nadeem Ahmed (SuperintendentC/BS-17) on promotion has been transferred and posted as Assistant Director, Directorate General of Customs Valuation, Karachi from the post of Superintendent, Large Taxpayers Unit, Karachi. Mumtaz Khan (SuperintendentC/BS-17) on promotion has been transferred and posted as Assistant Director, Directorate of Intelligence & Investigation, FBR, Peshawar from the post of Superintendent, Model Customs Collectorate, Peshawar. Muhammad Nazarul Hassan (SuperintendentC/BS-17) on promotion has been transferred and posted as Assistant Director, Directorate of Input Output Coefficient Organization (South), Karachi from the post of Superintendent, Large Taxpayers Unit, Karachi. Muhammad Zahid Khan (SuperintendentC/BS-17) on promotion Assistant Director, Directorate of Transit Trade, Peshawar from the post of Superintendent, Model Customs Collectorate, Peshawar. Muhammad Javed Mehmood (SuperintendentC/BS-17) on promotion has been transferred and posted as Assistant Director, Directorate of IPR Enforcement (Central), Lahore from the post of Superintendent, Model Customs Collectorate, Faisalabad. Muzaffar Ali Rizvi (PAC/BS-17) on promotion has been transferred and posted as Assistant Collector, Model Customs Collectorate of Port Muhammad Bin Qasim, Karachi from the post of Principal Appraiser, Model Customs Collectorate of Appraisement (East), Karachi. Israr Hussain (PAC/BS-17) on promotion has been transferred and posted as Assistant Collector, Model Customs Collectorate, Islamabad from the post of Principal Appraiser, Model Customs Collectorate, Islamabad. Syed Shahid Hussain Rizvi (PAC/BS-17) on promotion has been transferred and posted as Assistant Director, Directorate General of Transit Trade, Karachi from the post of Principal Appraiser, Model Customs Collectorate, Gwadar. Riaz Hussain Bhatti (PAC/BS-17) on promotion has been transferred and posted as Assistant Director, Directorate of Post Clearance Audit, Lahore from the post of Principal Appraiser, Model Customs Collectorate of Appraisement, Lahore. Saleem Yosuf (PAC/BS-17) on promotion has been transferred and posted as Assistant Collector, Model Customs Collectorate of Exports, Custom House, Karachi from the post of Principal Appraiser, Directorate of Intelligence & Investigation, FBR, Karachi. Ishtiaq Ahmed (PAC/BS-17) on promotion has been transferred and posted as Assistant Director, Directorate of IPR Enforcement (North), Islamabad from the post of Principal Appraiser, Model Customs Collectorate, Islamabad. Muhammad Saleem (SPSC/BS-17) on promotion has been transferred and posted as Assistant Director, Directorate of Internal Audit (Customs), Karachi from the post of SPS, Model Customs Collectorate of Preventive, Karachi. 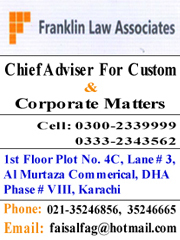 Tagged FBR, Pakistan Customs Service, Transfers and Postings.